Accessories Aren't Just To Look Pretty! When you think of accessories, you might think of little items that connect to a main piece of equipment that you “fine” doing without, but if that’s your thought process, you're probably only getting the baseline experience. And in the case of the Wally, you’re definitely missing out. Sure the Wally® is compact, brings you all your favorite shows, AND finds your remote for you when you inevitably leave it in the closet, but with all of the available accessories your Wally® can become your must-have no matter how long you plan to travel. Tailgating for the day? There's an accessory for that. Bingeing the newest series with your camping neighbors? There's an accessory for that. Hosting a picnic and just want some tunes? Yup, you guessed it- we have an accessory for that too. Let's start at the beginning. If you travel fairly frequently, you’re setting up and taking down your antenna at every stop. 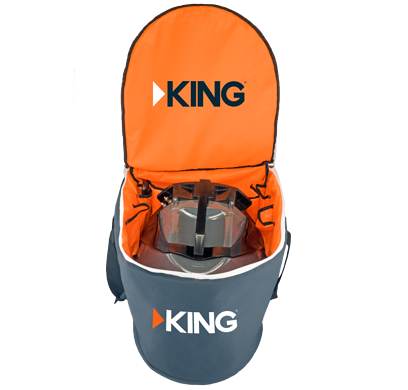 Regardless of if you’re walking a bit to your site, or just simply taking it out of the truck, take the hassle out of carrying your antenna, receiver, cables, and remote separately by securing them in the KING Portable Satellite Antenna Carry Bag. With the KING Carry Bag you’ll have everything all in one convenient location and bringing it place to place will be a breeze. Next you’ll want to set up your antenna in the most open spot at your campsite. As we all know, all of our antennas like the clearest view of the Southern sky and the higher up the better. Though, don’t think you have to mount it on your roof! 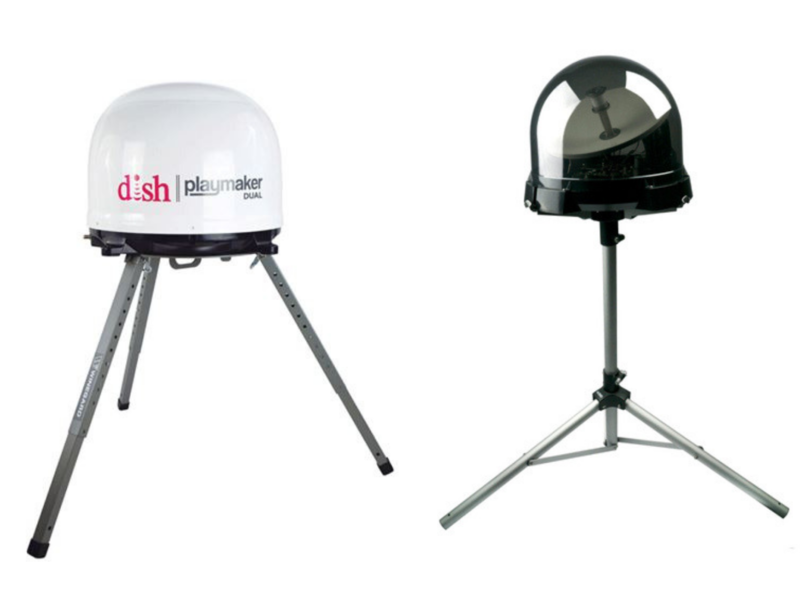 With your choice of two tripods your antenna will be safe and sound and off the ground! Once your bundle is all set up, this is where things get good. Depending on which channel package you selected when you activated your account you may or may not have added the local channel package. If you didn’t but miss watching the local news, you’re in luck! 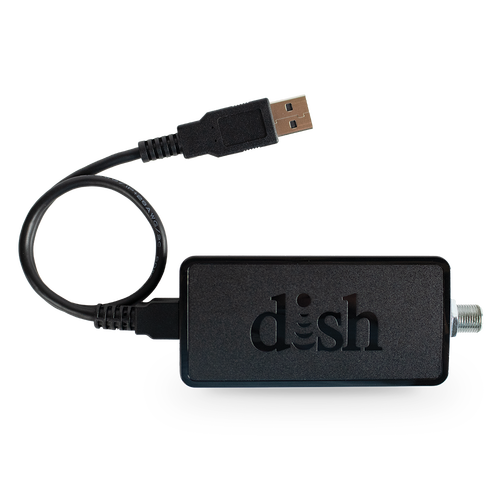 If your rig is equipped with an Off-The-Air (OTA) antenna all you’ll need is a DISH Wally® OTA Tuner and you’ll get the local channels wherever you are! 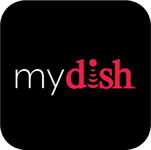 Pro tip: Download the MyDISH App to update your current location as you travel. 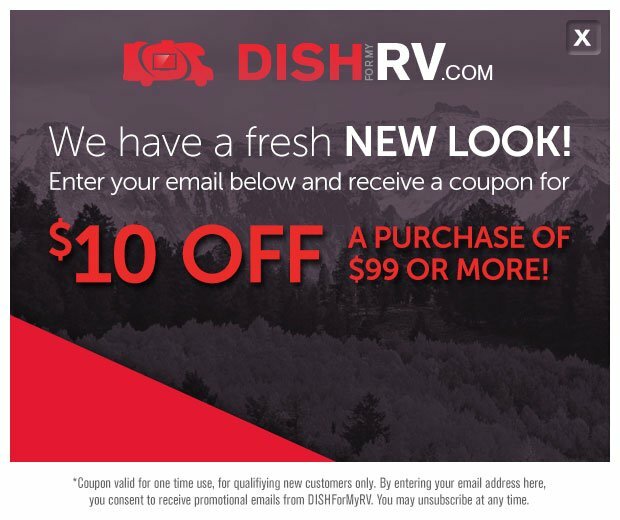 Once you update your location on the app (or by calling our DISH Outdoors Customer Service Reps at 1-800-811-4191 ) you’ll have access to all the local channels! Let’s be honest, in today’s world 24 hours doesn’t seem like quite enough and sometimes getting home in time to watch our favorite shows doesn’t make the cut. Enter the 1 TB DVR Upgrade Expansion. 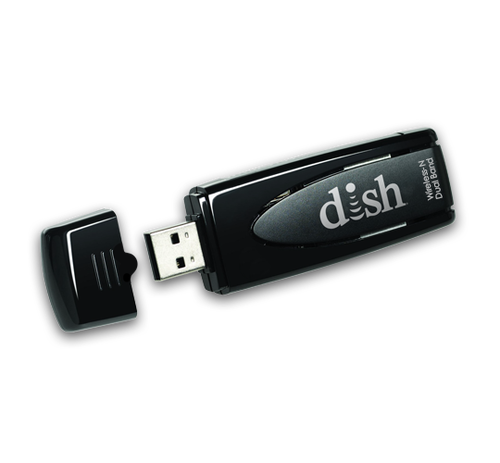 With this DVR expansion you can record up to 100 hours of your favorite shows and movies at home and take them with you on the road! Have you ever been in situation where you can’t stream any music because of the lack of service, or have you wanted to watch a movie after everyone’s gone to bed? Well, we have and that’s exactly why the DISH Wally® Bluetooth USB Adapter is an absolute necessity. With this small, discrete adapter you can connect the Sirius Music channels to your Bluetooth speaker to enjoy the tunes outdoors or do quite the opposite by connecting to a pair of KICKER TABOR ™ Bluetooth Wireless Headphones and enjoy your favorite movies into the night all while not disturbing anyone else in the RV. And last, but certainly not least, did you know your Wally® comes with the capability to stream some of your favorite shows via Netflix? No downloading necessary! Simply insert your DISH Wally® Wi-Fi USB Adapter into the back of your Wally®, let it find the Wi-Fi signal in your area, and you’re on your way to a binge worthy evening. 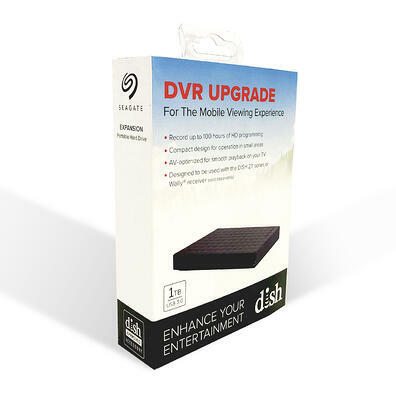 Now that you know that your receiver’s not just used to bring you your favorite programming, it’s up to you to bring your viewing to the next level. So what’re you waiting for? 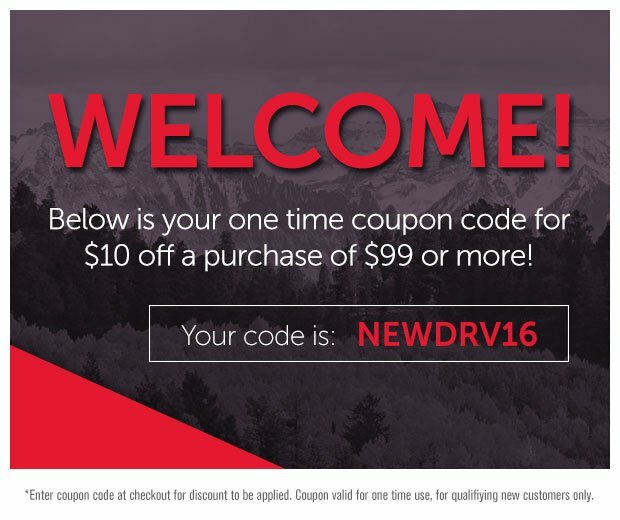 Start shopping!